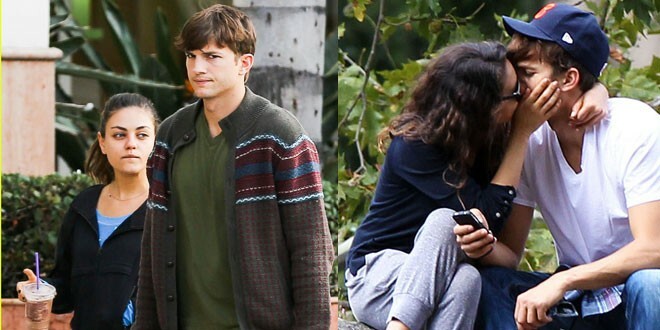 Home » Entertainment » Hollywood » Hollywood Buzz » Ashton Kutcher to Propose to Mila Kunis? Ashton Kutcher might have planned to propose to Mila Kunis according to our source. Sadly, it isn’t going to be a surprise to Mila Kunis now that the whole world knows it. Recently we reported about Mila Kunis possible being pregnant and Ashton Kutcher trying to keep it away from the media. Now, it just getting serious. “Ashton and Mila have talked about getting engaged and married for quite a while,” a source close to the “Two and a Half Men” actor told People. There’s no telling whether Kutcher will pop the question during this festive season, but the happy couple is supposedly heading towards taking those next steps sometime soon. The roadblock to their continued happiness was supposedly Kutcher’s looming divorce from Moore, which lasted nearly two years. Now that his six-year marriage to Moore has concluded, he can turn his full attention to his former “That’s ’70s Show” co-star. Now, if sources are correct, the “Black Swan” actress may be in for the best Christmas gift any girl could ask for. “He wants to get engaged during the holidays,” the source added. Previous: German Policeman Arrested for Eating Another Man! BAFTA Awards 2014 Winners List! JCPenney to Close 33 Stores, kill 2000 jobs! Bitcoin Currency is now worth more than $1000!